A fantastic cheese pie, perfect for any fall holiday table. 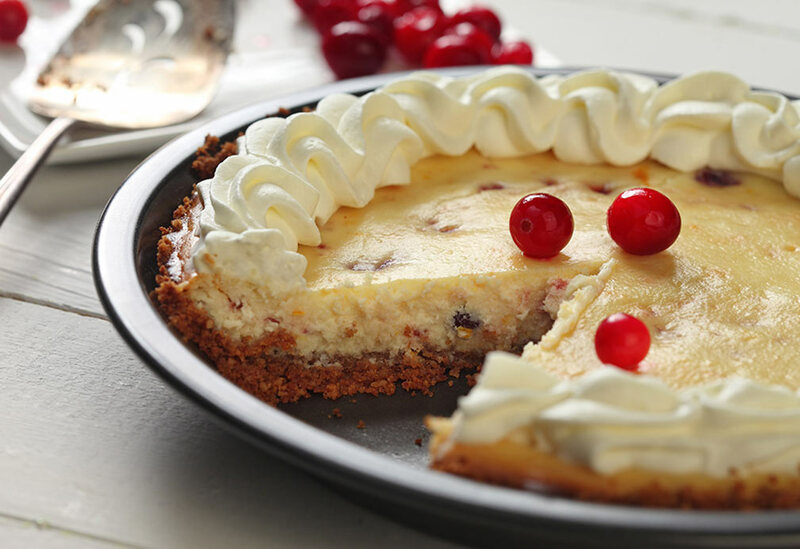 Canola adds to the silkiness of this decadent creamy pie. 2. In food processor fitted with the metal blade, process pecans and graham crackers until fine about 1 minute. Place in bowl, combine with canola oil until it resembles like wet sand. Press evenly into the bottom and sides of a 9-inch (22 cm) pie plate. 3. Place into preheated oven, bake until dry and light brown looking, about 15 minutes. Place on a cooling rack to cool while preparing the filling. 4. For the filling: In mixing bowl fitted with the paddle attachment on medium speed, blend cream cheese and sugar until smooth. Add eggs one at a time until thoroughly blended. Add oil, orange juice and orange zest into mixture. Remove from mixer and fold in cranberries with a rubber spatula. 5. Scrape mixture into baked pie shell. Place into preheated oven; bake until top is lightly brown and slightly cracking, about 40 to 45 minutes. Place on a cooling rack for at least 1 hour to cool completely. 6. Place cranberries into center of cooled pie. Pipe whipped cream around the edge. 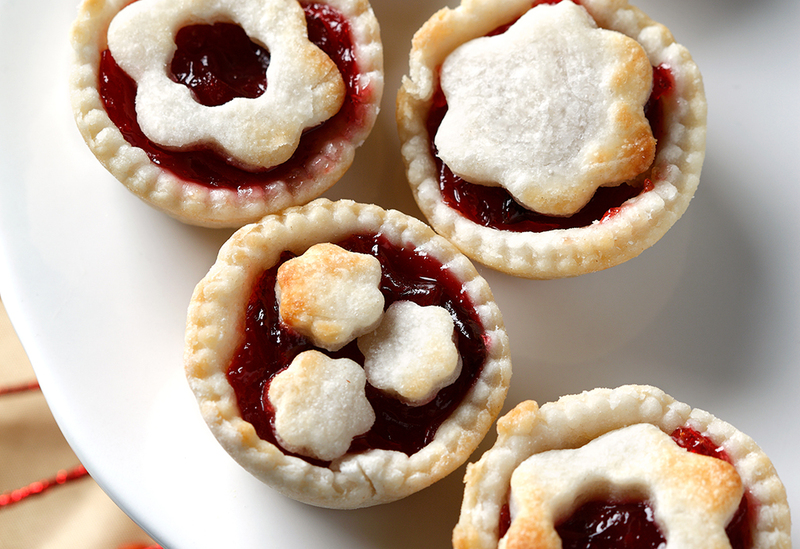 Tip: You can freeze the entire pie for up to 2 months prior to decorating. Cover pie completely in plastic wrap, then wrap with aluminum foil. 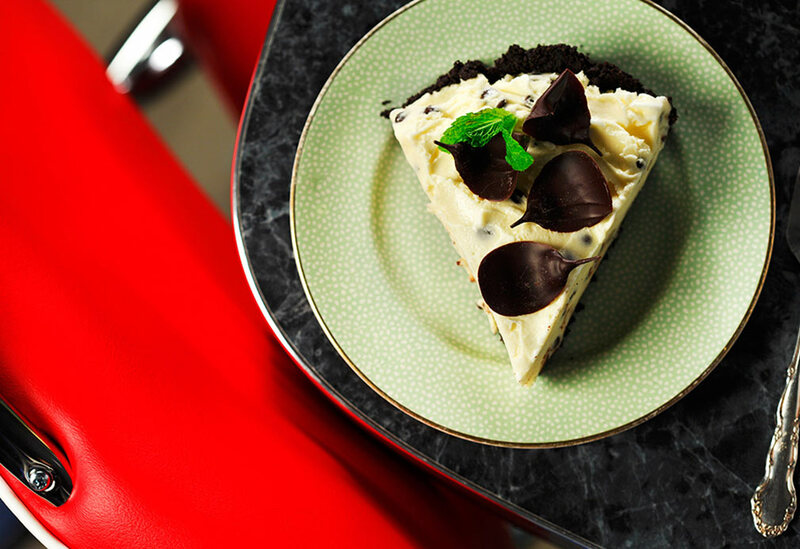 This minty ice cream cookie pie is sure to be a big hit with the whole family and it's very easy to make. 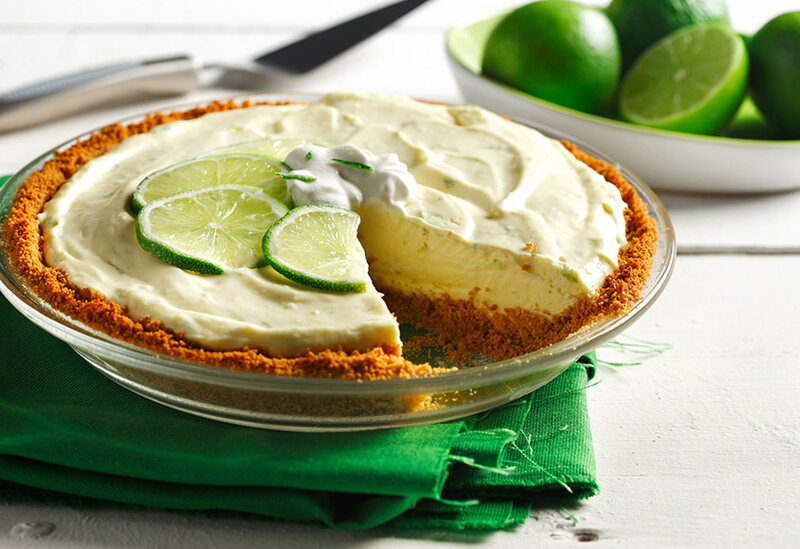 Using canola oil in the crust and reduced fat ice cream or frozen yogurt in the filling makes it significantly lower in saturated fat than the typical version, but with all the indulgent taste. Frozen desserts became popular in the U.S. in the 1950's following the mass manufacturing of freezers as separate units from refrigerators. You will feel like you are in the sunshine of the Florida Keys! If you are unable to locate key limes, regular lime juice will do the trick.